5 Best South Africa Cruises To Consider! South Africa cruises encompass many ports of call and allow passengers to explore all of the different cultures and regions that make Africa such a unique and interesting continent. While cruises to Africa are still pretty new, here are but five of the best cruises to consider when planning your next vacation. 1. AMA Waterways cruises offer an amazing African adventure with their cruises to South Africa. Their 16-night ‘African Sunsets’ cruise aboard the Zambezi Queen allows passengers to travel from Cape Town to Victoria Falls, one of the Seven Wonders of the World. With four nights in Cape Town, 2 days in the Okavango Delta and 4 nights on the Zambezi Queen on the Nile, what could be better? 2. South Africa Cruises wouldn’t be complete without an excursion out to the islands. MSC Cruise Lines offer an 11-night trip from Durban that visits the French island of Reunion and the gorgeous Mauritius with its never ending white sand beaches and tropical breezes. 3. Crystal Cruises has an ‘All Alluring Africa’ cruise that commences in Cape Town and for 21-nights takes you on a trip of a lifetime where you will cruise the Southern Atlantic, the Gulf of Guinea, and the Bay of Biscay as well as stop in ports such as Takoradi and Dakar before you disembark in Southampton. 4. 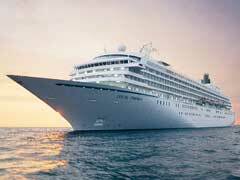 South Africa vacations can be had via Silversea Cruise Lines which offers an 18-night sailing from Cape Town that visits Dakar, Praia, Porto Nova and Las Palmas. 5. Sailing aboard the Cunard Line’s Queen Mary 2, South Africa cruises have never been so luxurious. This sailing leaves Cape Town and stops in various ports like Namibia, Gran Canaria, Madeira, Portugal, Vigo, Spain and others before it arrives in Southampton. Madagascar cruises, as well as those to various other islands and destinations are also available, as lines make their own itineraries, but hopefully this taste of what you can see and where you can go has at least piqued your interest in South Africa cruises. Cape Town makes a marvelous spot to embark on your cruise but is also a city that is full of history and attractions, and one that can be explored either before or after your cruise depending on your itinerary. With things to do in Cape Town as diverse as watching penguins to exploring natural parks to traveling by cable car, checking out the aquariums or visiting Robben Island, you will quickly see why this city is a world class destination all on its own.